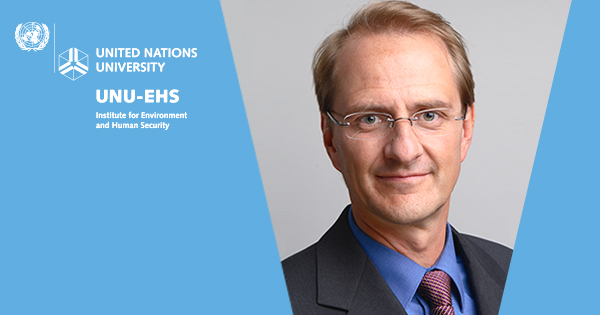 The United Nations University (UNU) has appointed Prof. Dr. Dirk Messner as the next Director of its Bonn-based UNU Institute for Environment and Human Security (UNU-EHS), effective 1 October 2018. UNU-EHS conducts research on risks and adaptation related to environmental hazards and global change, and promotes policies and programmes to reduce these risks. The Institute also offers a joint Master of Science degree programme in “Geography of Environmental Risks and Human Security” with the University of Bonn. Since 2003, Prof. Messner has served as Director of the German Development Institute / Deutsches Institut für Entwicklungspolitik (DIE). He has also held the position of Professor of Political Science at the University of Duisburg-Essen since 2006, and Co-Director of the university’s Käte Hamburger Kolleg, Centre for Global Cooperation Research since 2012. 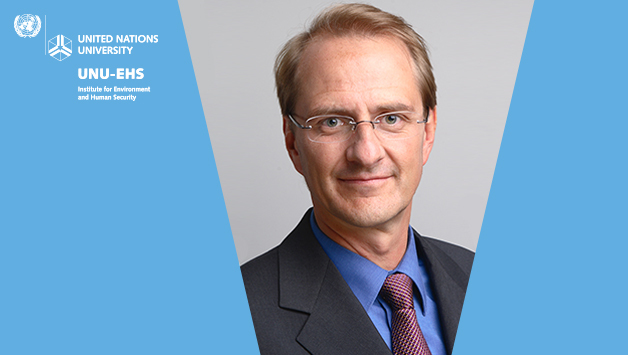 Prof. Messner is currently the Co-Chair of the German Advisory Council on Global Change (Wissenschaftlicher Beirat der Bundesregierung Globale Umweltveränderungen) and has been working as an advisor to a number of international organizations, e.g. as a member of the China Council for International Cooperation on Environment and Development, the World Bank’s Global Knowledge Advisory Commission, and the European Commission’s Scientific Advisory Board for EU Development Policy. He also serves as a member of several academic journal editorial boards and as a chair or member of scientific advisory groups of several research institutions. Prof. Messner holds a Doctor of Political Science (Dr. rer. pol.) degree and Habilitation qualification from the Free University of Berlin. He is the author or co-author of more than 300 publications. He was also the Academic Director of the University of Duisburg-Essen’s Institute for Development and Peace (Institut für Entwicklung und Frieden; 1995–2002), a Private Lecturer with the Faculty for Political Science at the University of Duisburg-Essen and the Free University of Berlin (1995–2003), and Professor of Political Science at the University of Munich (2003). Based in Bonn, Germany, UNU-EHS conducts research on risks and adaptation related to environmental hazards and global change. The institute’s research promotes policies and programmes to reduce these risks, while taking into account the interplay between environmental and societal factors. Research areas include climate change adaptation by incorporating insurance-related approaches, environmentally induced migration and social vulnerability, ecosystem-based solutions to adaptation and disaster risk reduction, and models and tools to analyse vulnerability and risks linked to natural hazards, with a focus on urban space and rural-urban interfaces.